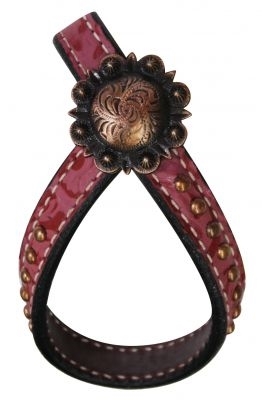 Showman® Pink Filigree Leather Tiedown Hobble. This leather tie down keeper features filigree print leather accented with an engraved copper colored concho and copper colored studs. Keeper measures 4" long.